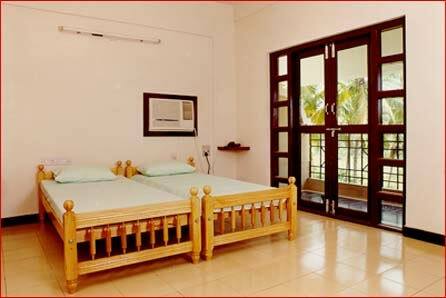 It is located in the right ambience of tranquil country side surrounded by coconut groves and paddy fields, compliments the serene aura of a blessed village in Thrissur District of Kerala. 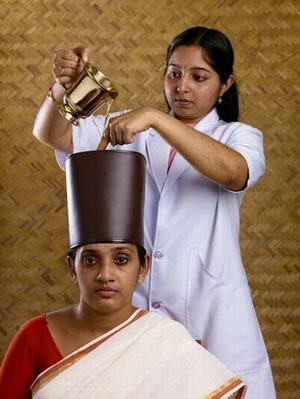 Vaidyaratnam Nursing Home displays an array of best Ayurvedic treatments available in the world. Centuries old traditions of Ayurveda and the unmatched talent of the Thaikkattu Mooss family are blended here to provide all kinds of treatment in its best form. Vaidyaratnam Nursing Home is one of the renowned Ayurvedic hospitals extending the Panchakarma treatment in the most genuine manner. 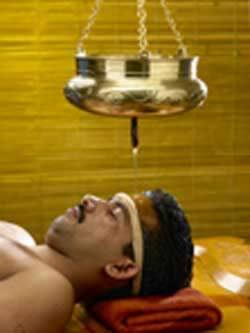 The age old tradition of Ayurveda is strictly complied with, at each and every stage of the treatment. The treatments offered by this nursing home are; Panchakarma Therapy – Vamanam & Virechanam, Sirovasthy, Kizhi (Bundle Massage), Pizhichil (Kayasekam), Rakthamoksham, Nasyam, Kashayavasthi and Thailavasthi. The treatment is carried out by well-qualified and efficient doctors under the direct guidance and supervision of none other than Ashtavaidyan E T Narayanan Mooss. Special care is observed by the practitioners to ensure the procedures followed are as per the instructions laid down in the ancient literature. Below given are short descriptions about various treatments offered at our nursing home. 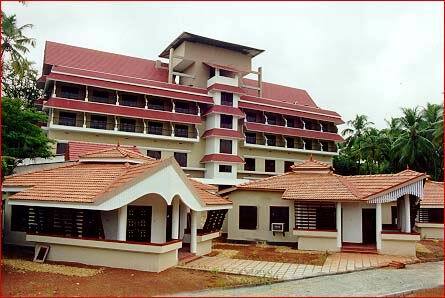 This aesthetically built beautiful nursing home of traditional Kerala architecture has 39 ordinary rooms and one Deluxe A/C room all attached with European toilets, Telephone and Television sets. Apart from these facilities, there are three executive cottages in the nursing home compound, each provided with a living room, A/C bedroom, sit out, treatment room all with Telephone and Television sets. 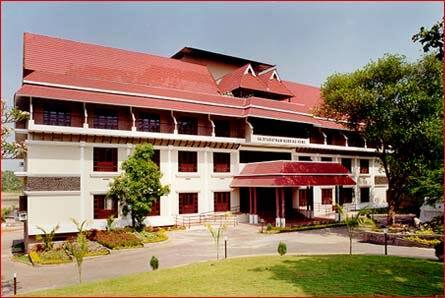 A wet canteen serving traditional Kerala vegetarian dishes prepared in total conformity with Ayurveda, relish your taste buds while you are at Vaidyaratnam Nursing Home..
A well equipped diagnostic laboratory and physiotherapy unit set up in the Nursing Home compound is a bonus to the patients as it aids in speedy diagnosis and recovery. An excellent library with all categories of books is maintained for spending your leisure time in the world of letters. If at all you feel lonely at nursing home, which is a rare chance, a recreational room is there for your solace. 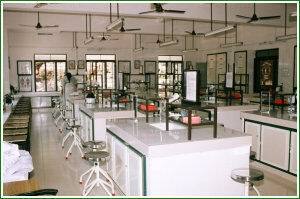 Address: Ollur, Thaikkattussery, Thrissur District – 680322, Kerala. I underwent treatment there and found most other patients satisfied with their choice of coming there! Excellent centre, really pleasant and dedicated staff, carin ..